Tar only roofing is not very common in Virginia because it's normally used in areas with less rain and chance of freezing. 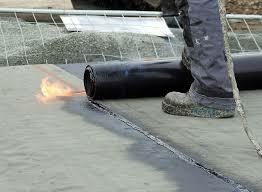 Roofing Tar used in Virginia is for Tar and Gavel flat roofs and to fix leaks on a roof. Tar is a black oily thick liquid made from coal tar and petroleum byproducts. Coal tar is a durable product that provides a natural resistance to water, ultraviolet rays, and chemicals. At temperatures above 70 degrees it softens, and begins to flow into cracks or abrasions, healing itself, which works well on a flat roof. This softening and becoming a liquid at higher temperatures is why it is not used on pitched roofs because it could run off the roofs edge- looking very messy and being very difficult to clean up. ​If one of the roof’s component is hurriedly installed, without the proper attention to necessary detail, your roof is doomed to fail. Roof failure may not happen right away but a few years down the road when your roofer could be long gone. It is our hope by providing a few informative paragraphs ,that follow, may help guide decisions about your flat roofing needs. Tar is mopped on or applied with a push broom to the flat roof while hot, but during the application and curing process it releases noxious fumes that make people sick so it is generally not used on residential homes. Tar should be applied in dry weather- meaning no snow, low humidity and no rain for the next few days, Tar can be applied at low temperatures above 50 degrees but will not properly set till the temperature is 70 degrees. At temperatures about 70 degrees, the tar begins to soften and flow into lower areas, such as small cracks or punctures. ​Many sketchy roofers and some desperate do-it-yourselfers use tar to plug leaks as a quick fix without concern as to how permanent the repairs are. Roofing tar will over time dry out and crack which will open the roof back up to the original leak. Then when trying to properly fix the leak the tar will have to be removed which is very difficult without damaging the surrounding shingles or flashing. Roofing tar or roofing cement ill usage is mostly seen on old slate and tile roof where tar is slopped on to fix leaks in slots between tiles or in roof valleys. Roof valleys that have been repaired with tar usually have to be replaced because its improbable that the area can be cleaned sufficiently to find the leak and repair it. Some home owners will spread roofing tar on their old and worn-down shingles to stop leaks temporally till they can put up a new roof. However, if a great portion of the roof has been covered in tar with the intention to form a continuous sealed membrane drainage paths for wind-driven water, that pushes into the shingles during storms, will be cut off- sealing the water under the shingles instead. Also, asphalt shingle roof systems allow water vapor to pass through joints between individual shingles and when coating seals the joints water vapor will be trapped. Trapped moisture under the asphalt shingles is likely to cause damage to the roof deck as rot and mold settle in and decay the roof’s structure. ​Tar and Gravel roof system is a flat roof treatment for protection against the elements and flying or crawling pests and is generally used on commercial buildings with large roof spans. These types of roofs have been manufactured on roof tops in the USA for about 150 years so we know a lot about how to make them last- mostly its beholden to an expert application. They are manufactured on the roof with alternating layers of tar, roofing felt or fiberglass fabrics then topped off with a gravel top to protect the roof from foot traffic and impacts. Well maintained BUR roofs over 50 years old can be readily found mostly due to their self-healing properties on hot days, resistance to impact by hail or flying debris, and its fie resistance. Average installation costs are $3.50 to $7.00 per square foot; thus a 4000-square foot office building would be on the lower end $14,000. ​The Tar and Gravel build up process begins with coal tar heated in a kettle or tanker high enough to be easily spread. The tar is applied to the roof surface with a mop or spreader to be followed with a layer of felt or fiberglass fabric (produced in a standard width of 36 inches). Then, repeating the process till you get the number of layers wanted (four ply roof means the roof has four layers of roofing membrane). The final layer of tar will be topped with gravel- enough to cover the entire roof. 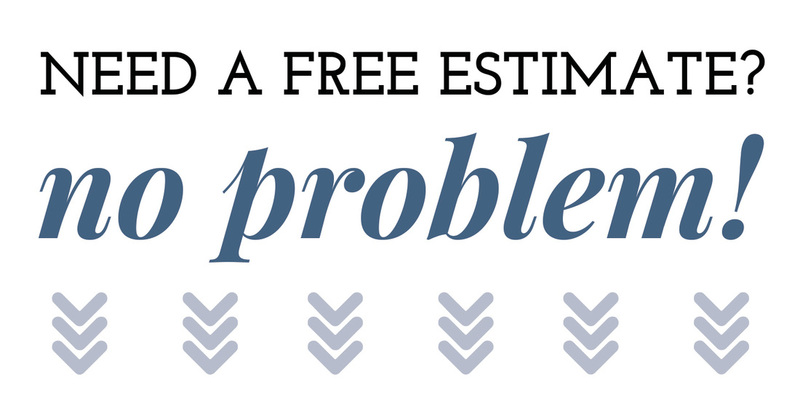 The average lifespan of these roofs are 30 years with periodic maintenance. Note: Hot tar is very hazardous to work with so this type of roof should always be done by a professional. The traditional process involves using the flame of a large torch to seal the roofing membrane to the deck as the fabric or felt is unrolled. The felt or fabric mats are made of reinforced fiberglass, polyester or a combination of the two. They are also impregnated with tar (for adhesion when flamed) and surfaced with mineral based granules. Unlike asphalt roll roofing membrane which is easily torn, Modified Bitumen membranes are strong and resist tearing because they are reinforced with fiberglass, polyester or a combination of the two. The tar or bitumen is the waterproofing substance within the fabrics that when heated with the torch becomes an adhesive to firmly attach itself to the roof deck. Topping off the roofing membrane with gravel is not necessary because they already have a mineral based granule service that protects the membrane from UV rays and minor impacts. Residential Flat Roofs made with EPDM rubber membrane system, light weight and quick to install, have gained a lot of notice the past few years as many builders are working them into new town homes developments as a premium option calling them roof top patios or terraces. A roof top terrace allows the homeowners living in such close proximity to neighbors more privacy while enjoying the outdoors complete with a panoramic view. However, they are pretty much a $20,000 upgrade (according to the West Broad Village Townhomes in Short Pump VA). Thank you for viewing this page on tar and flat roofs. Hopefully, you have found something among its paragraphs to go a step further and contact us for a free consultation, at your convenience.